Hello everyone, I was wondering how you could unpack and repack the stringdata.lpk file for Lost Ark. The .lpk file is a compressed zip folder that has multiple XML files and a csv file. Last edited by Salix on Sat May 26, 2018 10:00 am, edited 1 time in total. is it possible to decrypt the file and repackage it back later? The samples provided by other users are definitely not a ZIP file, it's clearly encrypted. i know there is somebody made a tool for the CBT what had past. i tried it but seems doesn't work for the final CBT. just said that it is wrong path. and i can't found any updated for the tool. Sorry, I have little knowledge about encryption! But this was the content of stringdata.lpk in CBT2 (after being decrypted). File size became 10x bigger which made me think it's encrypted & compressed. help！！！CBT3 Use umodel error, do not know what reason. @Zexl. I would love an answer to this one as well, maybe you should ask this also at gildor.org forums. 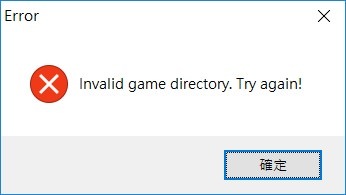 Maybe someone there knows what's causing this error. Any update on English Localization? I have the final cbt files if needed. Last edited by demnas on Sat Nov 03, 2018 8:23 pm, edited 1 time in total. Someone plan to translate the game? OBT client has been released. I want to know where‘s the Korean text. is anyone can decrypt .lpk file? help！help！Has anyone unpacked file from CBT3 latest update?